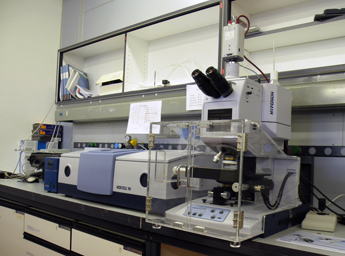 Fourier Bruker infrared microscope “Hyperion 2000"
This equipment is coupled with a Vertex 70 interferometer and optimized for Mid-IR (4000-400 cm-1) imaging. 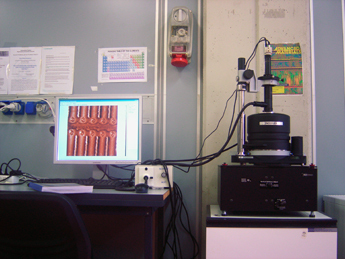 The atomic force microscope is equipped with sample scan configuration. 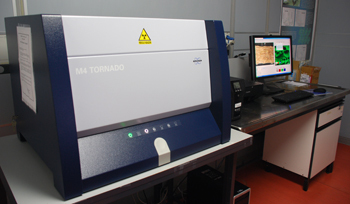 The high performance XRF spectrometer performs fast and accurate high-resolution elemental mapping of different samples with spatial resolution < μm.